Mariefred itself is maybe nothing spectacular, but I found it such a picturesque place, it is absolutely worth a visit! Its most famous attraction is Gripsholm Castle, but even without Gripsholm Castle I would go here for just a nice stroll and look around the little village. 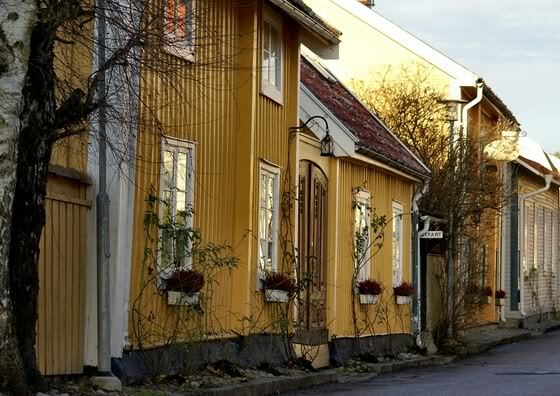 I really love the nice little streets with all the wooden houses of this village. In the photos you can see first of all a summer view taken from Gripsholm Castle towards the village and secondly a winter photo from almost the same location. But Mariefred is not only a lovely little town, it has a bit of history as well: It all began in 1370 when Jonsson Grip started building the castle of Gripsholm. 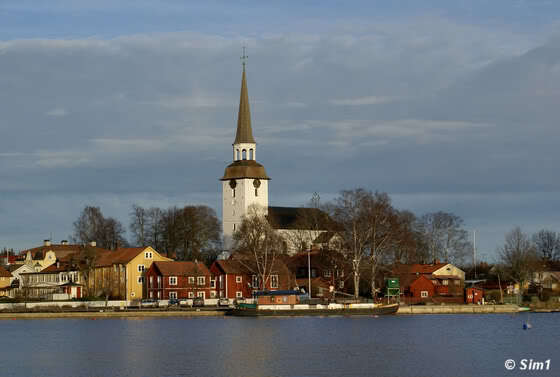 The village of Mariefred has got his name from an even earlier date, in the tenth century, when there was a monastery at this place called "Pax Mariae", which means in Swedish "Marias Fred" ( Mary's Peace). In 1493, the then ruler av Gripsholm Castle, Sten Sture the Elder, founded a new monastery "Monasterium Pacis Mariae". In 1605 Mariefred got city rights from Karl IX. But enough of the short history, let's start exploring Mariefred! When entering Mariefred by car, the most logical option would probably to park the car at Gripsholm Castle. But don't! I would suggest taking one exit later and driving a bit further into town. Take the next exit to the right instead towards the "Järnväg", which is the old train station, continue this road a tiny bit further and you'll get to a parking area, located close to the heart of Mariefred and across the water from Gripsholm, giving you some wonderful views over the castle. Of course you want/have to visit Gripsholm when going to Mariefred. This castle is the main reason why so many people visit Mariefred in the first place and not without reason. 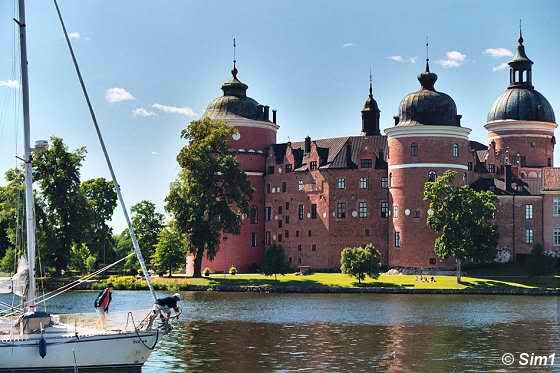 Gripsholm castle is beautifully situated on the shores of Lake Mälaren and was built in the second half of the 14th century by Bo Johnsson Grip. In the castle you can see a lot of Swedish interior design from the 16th to the late 19th century. But the main thing the castle is known for is its great collection of portraits: the Swedish national collection. The number of portraits is huge, and it features prominent Swedes from the days of Gustav Vasa until now. Hahaha, you have to know some famous Swedes of course to really appreciate it. But there are a few names that you might know, like Ingrid Bergman and Greta Garbo. The Castle is open to the public during the summer months, but it the grounds are open all year round, making it possible to make a stroll around the castle even when it is off-season. After having feasted my eyes on the impressive Gripsholm Castle I would suggest going on a nice long stroll around the picturesque village of Mariefred. It is such a nice little place, especially on a warm sunny summer day. 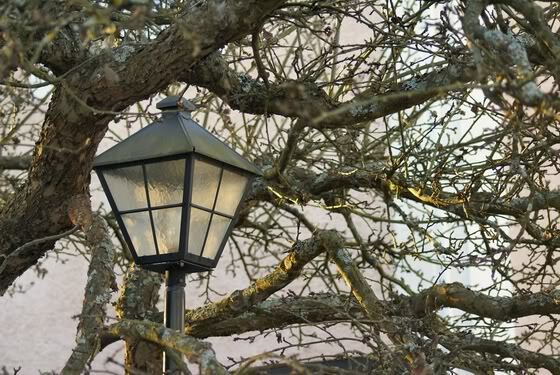 But having said that, I have to admit that it has a lovely charm during the winter months as well! With most of the tourists gone, the village is much quieter and gets a more authentic feel during this part of the year. The streets of Mariefred are quiet and often narrow; the houses are all wooden and often painted in a for Sweden characteristic red colour. A colour you will find a lot on houses, especially in the rural areas. But there are yellow houses too, and white, green and even pink! 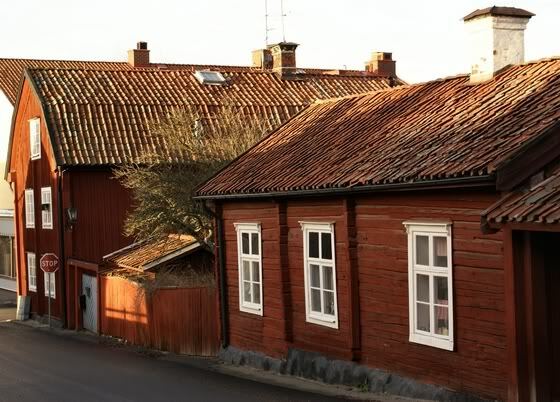 The typical red colour which you can see a lot in Sweden (see the house in the second photo) is a colour called Falu red or Falun red (in Swedish Falu rödfärg). The paint got its name from the copper mine at Falun (county of Dalarna) as the typical colour of the paint was caused by the residue from the copper mines. They started using this paint already in the 16th century and it got rapidly popular, as it was a perfect (and cheap) solution to give wooden buildings the same colour as buildings with a brick facing. 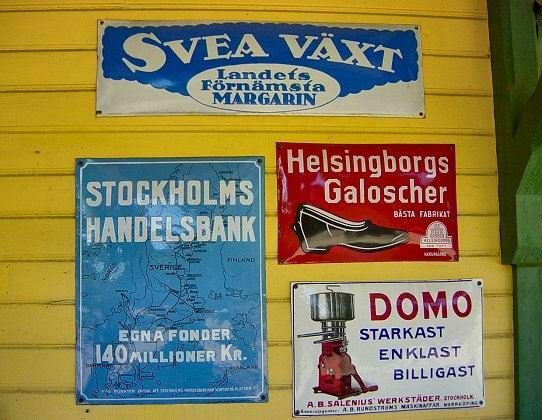 But even as to this date, the colour Falu rödfärg is a very popular and can be seen all around the country side. 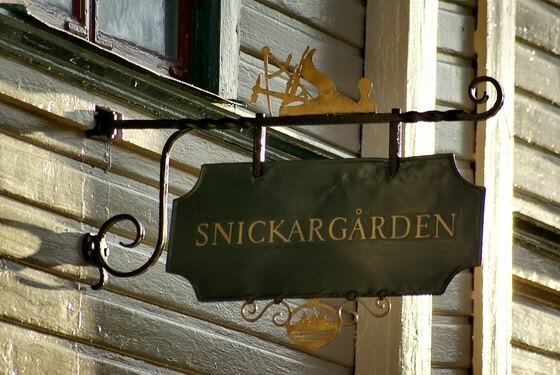 There are a few buildings in the village that are worth mentioning and one of these is the Callanderska Gården. It is not only a house with a history, it also is a little museum (opened only during the summer months). The original house was destroyed during the big fire of Mariefred in 1682, but it was luckily rebuild. In 1947 this buidling was donated by the Sofia Nordwäger-Callander, to the local history society. The yard contains of several old buildings and a lovely old garden, filled with spices. In the little museum you can see how life was like for a dyer from the 17th century. Only a few steps away from the Callandersk Gården is the little church of Mariefred. 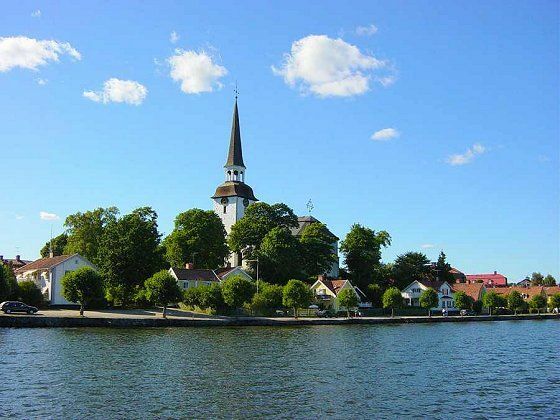 With its white colour and high spire it dominates the view of this little village. 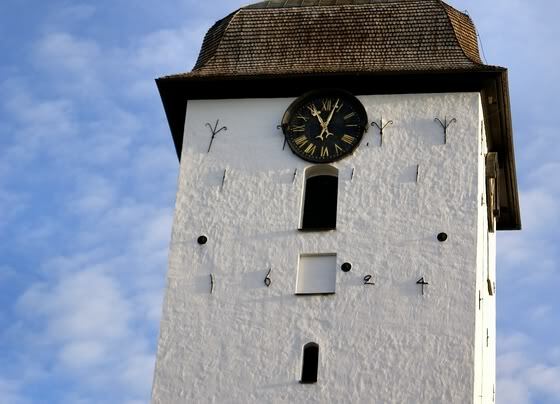 The church dates back to 1624, as you can see on the church tower (second photo), but was, like many other buildings in Mariefred, burned down in 1682. 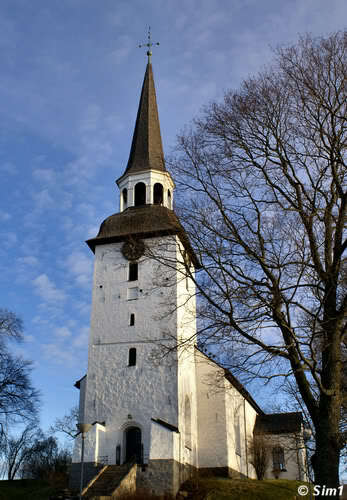 The church was restored again soon after, with financial help of Queen Hedvig Eleonora. You can take a look inside the church if you like. If you follow the Kyrkogatan and turn left you will get to the main square of Mariefred, called Rådhustorget (Town Hall Square). And as the name already says it, this square is dominated by the Town Hall. 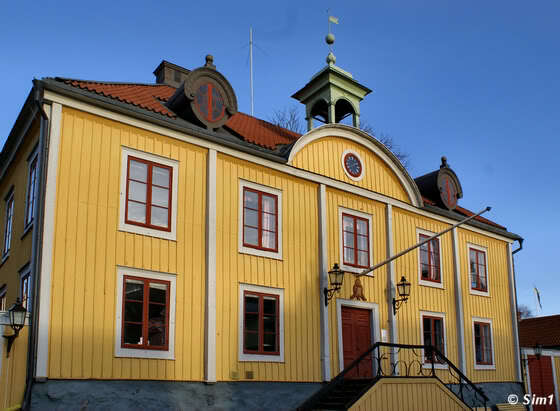 The Town Hall was built on the initiative of King Gustav III in 1784. 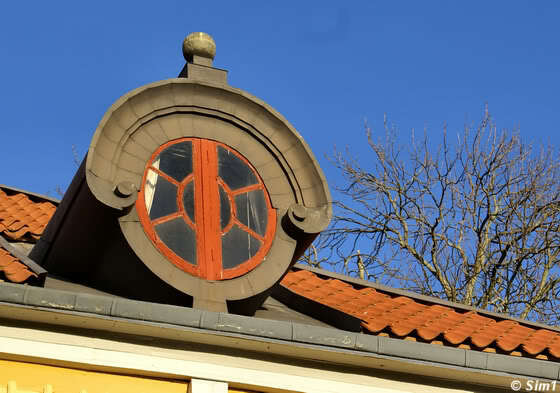 The large stylish yellow building is nice to look at, but for me the most remarkable details are the two dormer windows on the roof, with their unusual round shape (see the third photo). From here you should get 'lost' in Mariefred and just wander around in the little old streets and breathe in the relaxed atmosphere of this little town. If you just have time for a quick tour, I would suggest to walk from the Rådhustorget back again to the Kyrkogatan and follow this road a bit more until you get to the Djurgårdsgatan. The street now continues s the Bergsgatan, and on the corner of this street you can see a quarter called "Kungshuset". 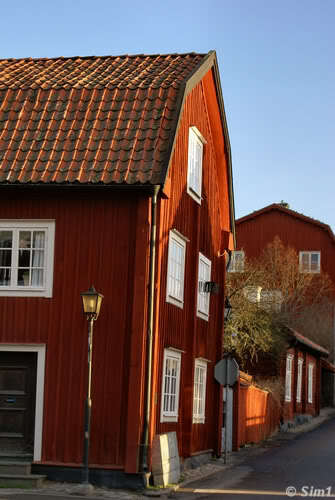 These typical red coloured houses are the "Kings Houses" (= Kungshuset). 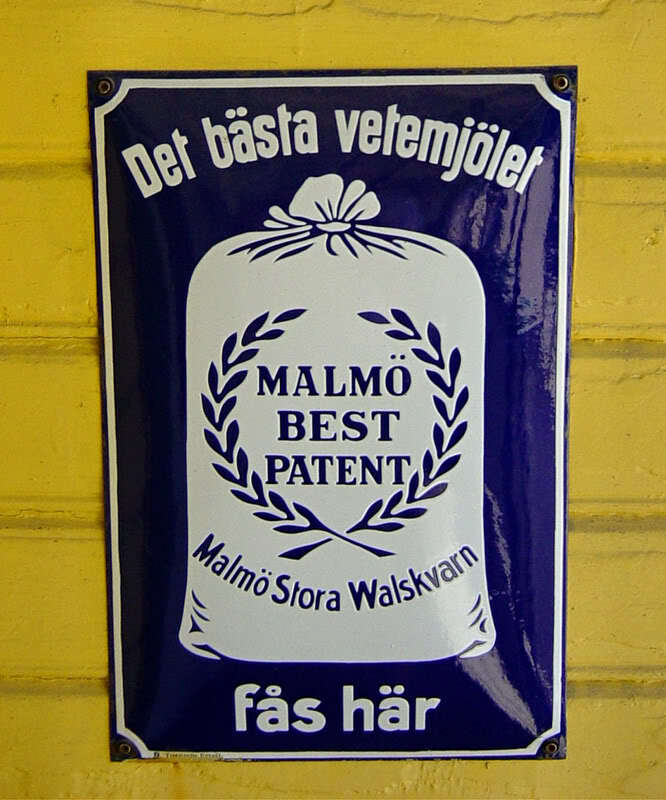 They got this name under King Gustav III who built it for the courtiers. Today it has gotten a totally different use, as it is now a rectory and parish offices. 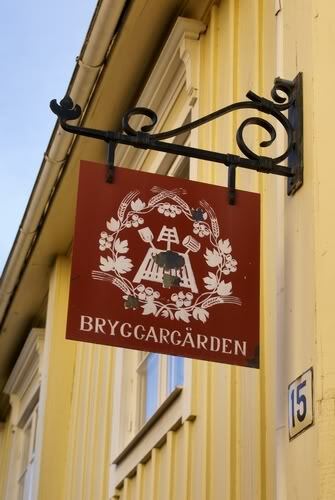 And well, who can't resist taking a stop at the Bryggargården?? 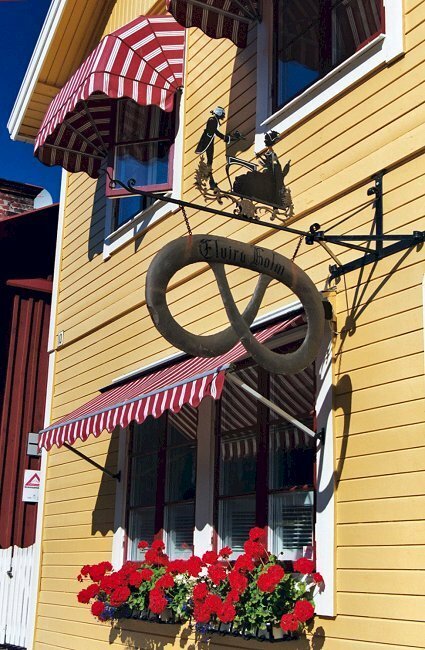 Unfortunately it isn't a "Brewers yard" anymore as the name in Swedish suggests, but now in use as a normal house. The house was built in 1783 and the sign that you can see in the first photo is a copy of the original sign of a 17th century brewer' sign. The house isn't so spectacular, I guess the history attached to it makes it worth mentioning. 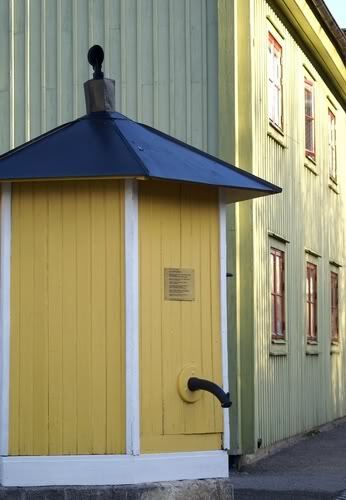 You can find this yellow coloured house on the corner of Långgatan and Djurgårdsgatan. Take a left turn from the corner at the Kungshuset mentioned in the tip above and follow the Djurgårdsgatan until the next crossing. Continue on the Djurgårdsgatan towards the west and you can't miss seeing the Town pump. The pump isn't so spectacular to see, but the surroundings here are quite nice. 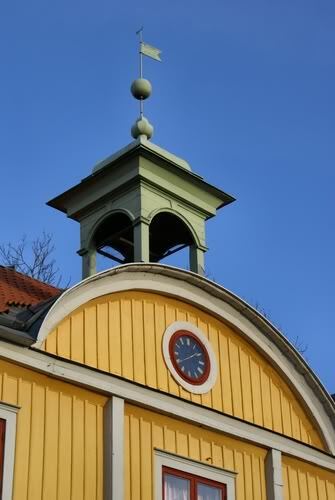 Especially when you look towards the Munkhagsgatan, where you have a lovely view over the houses and gardens. In the old days the town pump was not only a source for water but also a gathering place for the citizens to exchange news. 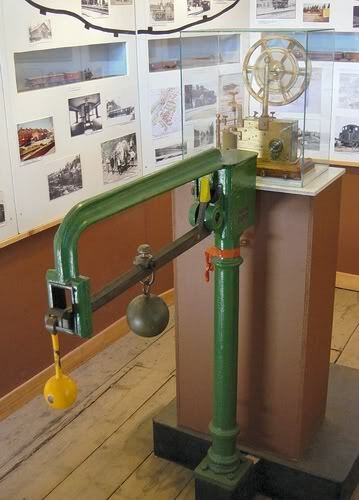 The town pump was in use until 1924 in Mariefred and even until the 1950's in cases of emergency. Nowadays the well is dry, but the little house is still here, reminding of those times gone by. You are now almost back at the beginning of the little walk through Mariefred. From the town pump take a turn to the left, into the Nygatan, and you will automatically end up at the train station of Mariefred. This little train station is a lovely place to see. It looks so picturesque and for me it felt like stepping back in time. And well, I actually did! This is not just a train station, this is also a little museum. But more about that later. 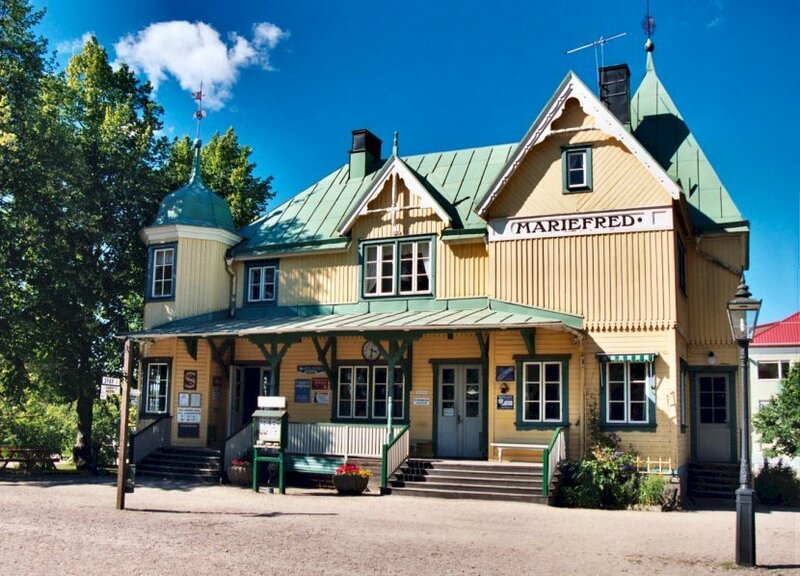 The station building of Mariefred dates back to 1894, as part of the Södermanland Railway from Läggesta to Mariefred. The line was closed in 1964, ending the use of this little train station. Luckily the track got a second chance when the ÖSJ (Östra Södermanlands Järnväg) took over the line and transformed it to a 600mm gauge line. The historical trainstation was restored again and brought back to life as a vintage steam train station. The whole building is mainly build in Jugendstil, mainly noticeable by the proportions of the steep roofs, towers and pinnacles. 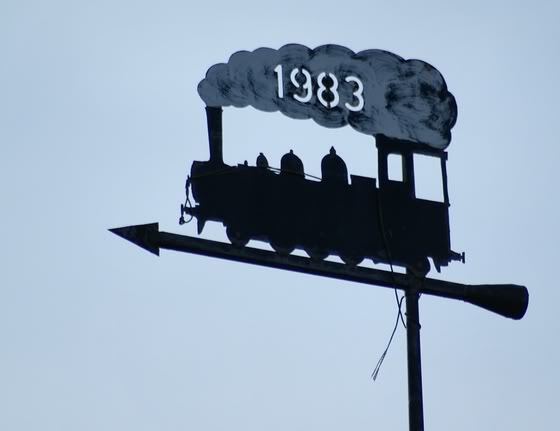 To get the building back to its original charm the station had extensive maintenance projects between 1985 and 1993, and it really paid off. 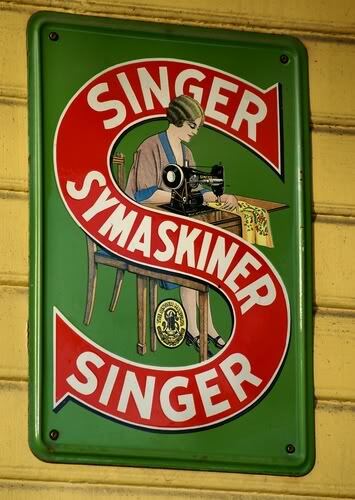 Beside the architecture of this train station, I loved all the little details, like this type of old fashioned advertising (see photos). 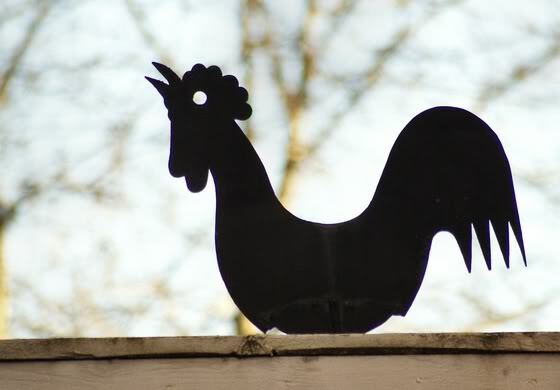 We used to have the same type of signs in Holland as well. But not anymore though, these are things of the past. But I still love to spot them on these unexpected places, like this old train station in Mariefred. 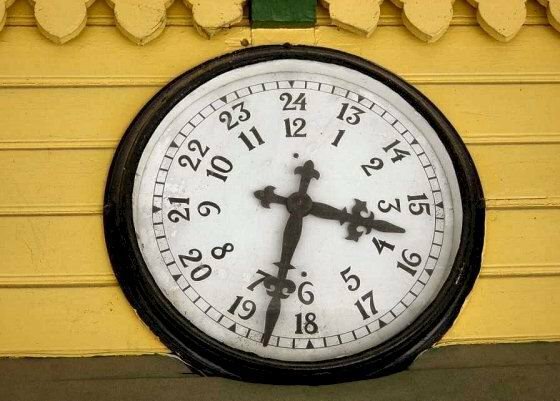 At the trainstation I also spotted this fun clock! It is not like the usual ones that I know, because this one counts to 24! So funny :-) When writing down a time in Holland (and Sweden) we often use this system of 24 hours in a day instead of AM and PM. But I never saw it on a clock before! So great! Inside the train station is a nice little museum. The entrance is for free so don't hesitate to take a look inside. 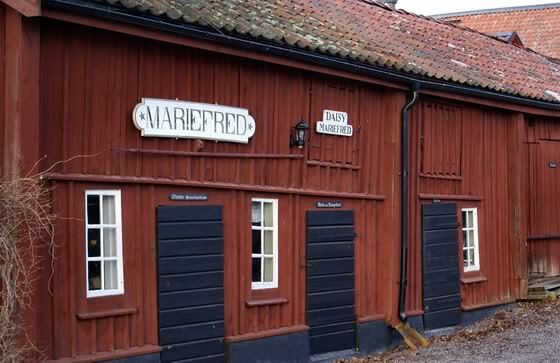 I quite enjoyed this little museum about the history of the train station of Mariefred and the history of the small railway system in Sweden. 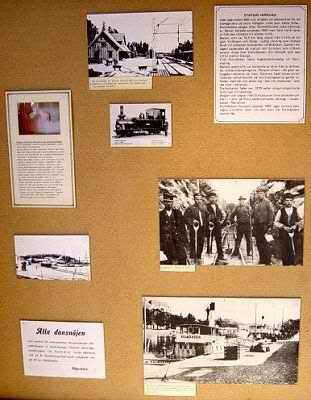 They have some displays, old photos, some machinery, etc. 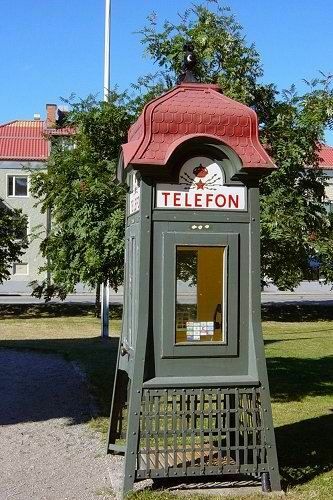 Outside the railway station I saw this old fashioned phone booth. I had never seen anything like it before, so of course I had to take a picture of it. It is an old fashioned one, but it seemed to be on the right spot here in Mariefred. This little village has this old-time feeling written all over it. The steam train was not 'home' when I was at the train station, so instead this picture of an old loc that was standing here. 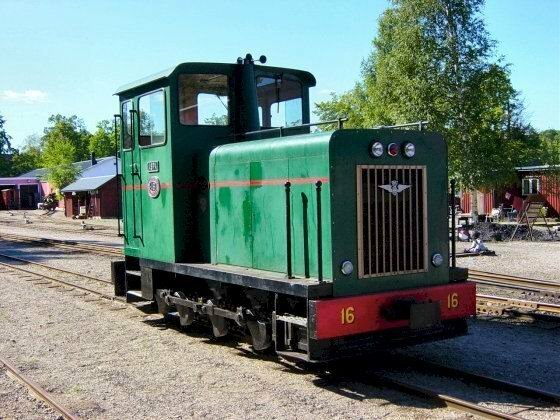 But if you like you can go on a little trip with the old steam train from Mariefred. The railway is rather special as it is a 600 mm gauge railway. 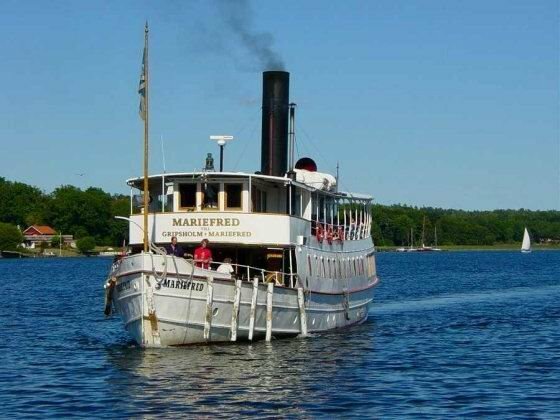 A really nice daytrip would make their "Mariefred roundtrip", which is a combination of getting by boat to Mariefred from Stockholm (see next tip), spend a few hours at Stockholm and Gripsholm Castle and end the day with a ride on the historical train from Mariefred to Läggesta, from where you can hop on the normal high speed train from the Swedish Railway back to Stockholm. This tour can only be done during the summer time and you can find more about the rates and times on the website of the ÖSJ. I ended my walk around Mariefred at the little harbour. And how lucky I was to just see the old steamboat 'Mariefred' return home from her trip to Stockholm.